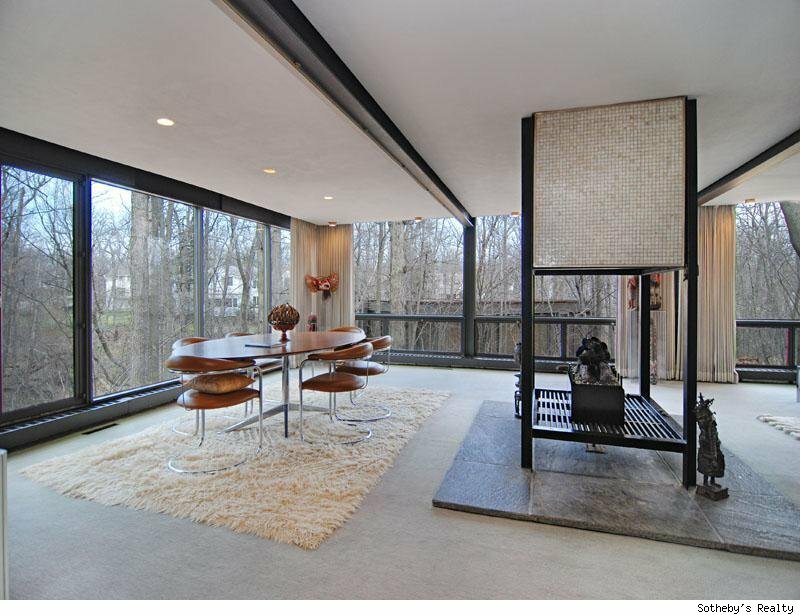 An architecturally-significant Highland Park home — its car pavilion the scene of one of the greatest expressions of anger, frustration, regret and humor ever committed to film — can be yours for $1.5 million. Built in 1953, the Rose House designed by architect A. James Speyer deserves a place in architecture books in its own right. The minimalist single-story steel and glass masterpiece has an uninterrupted 25x40 foot living space and is evocative of the best work of Speyer&apos;s mentor, Mies van der Rohe. The home was listed Monday. The Rose House has been on and off the market for four years, listing as high as $2.3 million through Sotheby&apos;s in 2009. With four bedrooms and four baths and 4,300 sq feet, the home is small by North Shore standards, which might be the rub when it comes to selling. The home is listed with Coldwell Banker.